Nollywood Actor Brown Igboegwu bares it all in this exclusive; he talks about his wife, his accidental entry into Nollywood and his family’s reaction when he started acting. “I found myself in Nollywood by accident. I never intended to act,” he told This Day. The actor said he got into the field by chance and hasn’t regretted his move. Igboegwu explained that he was in Asaba to hang with his friends on his birthday and so ran into a movie crew on the night. “Then we stopped by to watch them,” he said. He later ran into a member of the production crew in the course of watching and it turned out they had known from way back. Somehow, luck smiled on him and he got a slot to play a role or two on the night and he hasn’t stopped ever since. “I played [my role] properly and I was paid a huge amount of money. I was shocked because I didn’t know actors were well paid. “I just told my friends that I have found myself a very good business. That was how I became an actor,” he said in the This Day exclusive. Igboegwu is known for his ‘bad boy’ role in movies but this doesn’t interfere with his romantic side. It hasn’t been an easy journey for the Anambra native but expressed joy in the level he’s reached today, even as he hoped for greater success. The actor recounts the hurdles he had to scale before his mother became convinced that he was meant to be an actor. She was uncomfortable with his hairstyles, even as his siblings also joined in questioning his motives for acting after successfully completing a university education. “When I started acting, my father was already late and my mother was not comfortable with it, especially when I started plaiting my hair. She was asking when I started such stuff. Sometimes, when some girls come to our compound to make my hair, she will be sort of upset. But when it started going out well she was forced to start liking I,” he said. 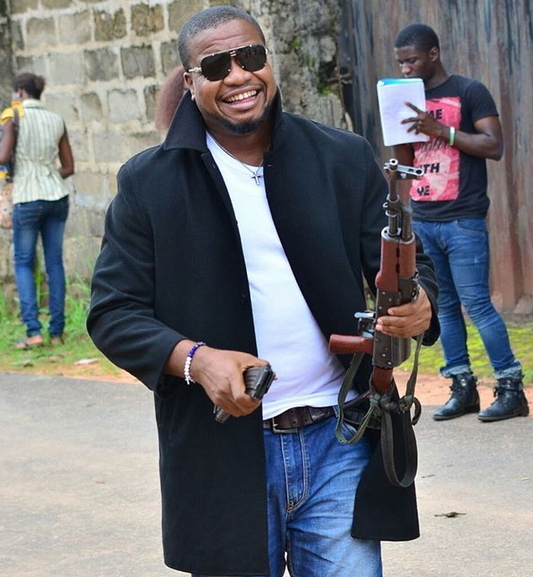 Brown Ifeanyi ‘Browny’ Igboegwu, 39, is a Nollywood actor and businessman. He began his acting career in 2005 with the movie Expensive Error. He graduated from the University of Nigeria where he read Public Administration and International Relations. Will Luis Enrique Remain At Barcelona?